Low cost airline fastjet and regional carrier Proflight Zambia have signed a connection agreement for their destinations across Africa. Passengers of the two airlines will now be able to fly to 15 places in Zambia, Malawi and Tanzania. “The alliance not only will see both airlines expand in reach but also establish Lusaka as a regional aviation hub,” fastJet said. 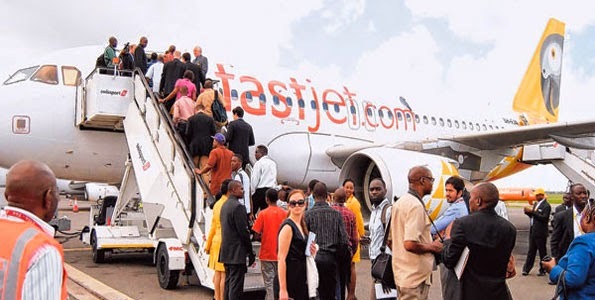 From May, fastjet will link Proflight's route network to its hub in Dar es Salaam and other Tanzanian domestic routes, while Proflight will connect fastjet flights into Lusaka to its domestic routes within Zambia, and to Lilongwe in Malawi. Captain Philip Lemba, director of Government and Industry Affairs at Proflight, added: "The agreement signed with fastjet is the latest step in our strategy to develop a network in the region, making air travel in Southern Africa more convenient and accessible."